The word preservation has many meanings, from both the physical world to the spiritual world. The most basic, and sometimes most important definition of this word is truly about survival which denotes the ideas of protection, stability, and even stasis. The photographs presented by Little combine feelings of old and new in a starling way for the viewers. Little has essentially frozen the human form using honey, instead of ice, making the warm amber imagery something new and exciting for the audience. Since there was no sugar in the Old World, honey was very much valued for the sweetness it was able to provide and for other qualities as well. Honey functioned as a sweetener as well as medicine and a preservative since it does not spoil when placed under the right conditions. 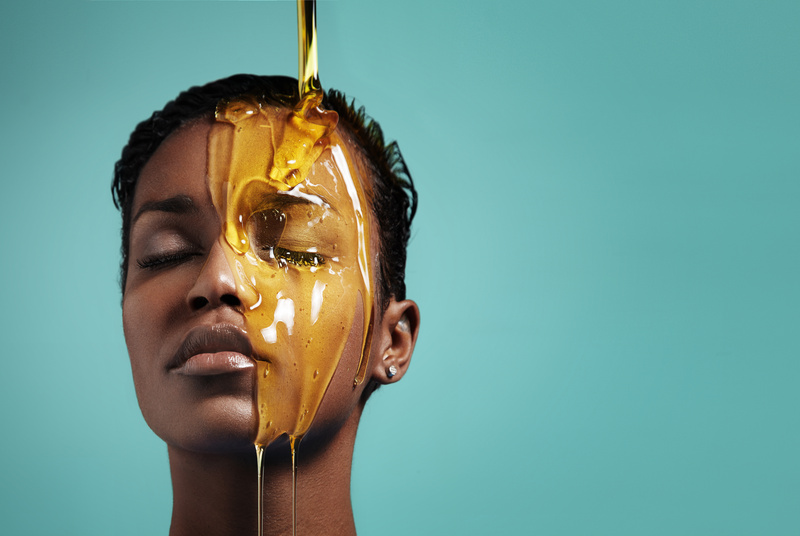 It was truly the look of honey that compelled Little to use it as the subject of his art series – the color, luminosity, and transparency drew Little to the substance in order to begin experimenting with it. Instead of applying the honey to a canvas or other traditional artistic medium, he began by applying it to the human body. Little begin by dripping the honey, then applying it in sheets, helping to create the vibrant, gleaming forms that are featured in “Preservation.” Little was very intrigued by the juxtaposition of such a timeless and preserving substance such as honey and the human body that is so prone to decay and was also amazed by how the honey transformed the human body. Whether the honey was applied thick or thin, it is ever present will all of the subjects featured in the book. 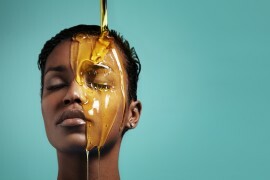 The experience of being covered in honey is far from a natural experience and can be suffocating and many of the subjects that Little features seem to struggle while others surrender themselves to the experience. These photographers are very similar to those plaster cast images of victims of Mount Vesuvius, speaking to the preserving qualities that honey also has.